During our lifetime, we as Muslims harbour the passion to visit the blessed Ka’bah situated in the city of Makkah in Saudi Arabia to perform Umrah. At I'timaar, we are determined to help our Muslim brothers and sisters realize their spiritual obligation of performing Umrah in the best possible way. 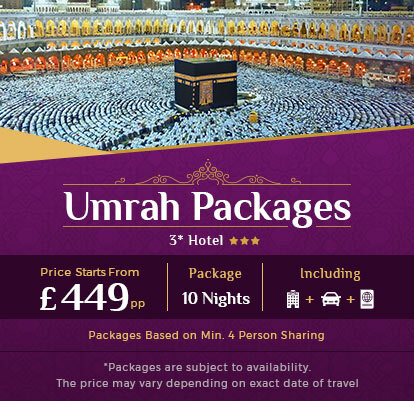 For your half-term holidays in February, our tailor-made February Umrah packages 2020 from UK enable you to plan and prepare for a journey of a lifetime. You would be capable of completing your spiritual rituals peacefully and comfortably keeping in mind the climatic factor of Saudi Arabia in February compared to the other peak summer months from May to September. Our specialized team takes care of every detailed aspect of the holy journey. During your stay in Makkah, you can also explore several places of religious importance freely and joyfully. Additionally, we provide an opportunity for you to make a journey to other sacred Islamic sites. Bearing optimum significance, several Muslim devotees visit the Jannat Al-Mu'alla during their Umrah trip to commemorate those who are buried there. 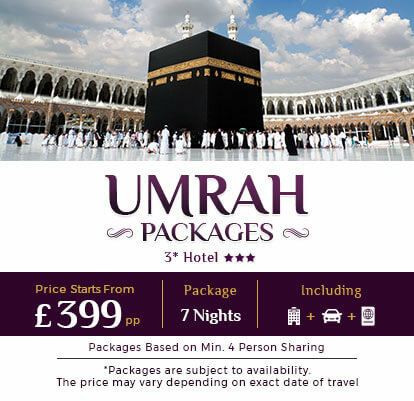 I’timaar also offers you cheap Group February Umrah Package 2020, which gives you the chance to save big while travelling as a group. With your savings, you can visit other places of importance during your religious Umrah journey. With over 32 years of experience in the travel domain, we assure you of a hassle-free and memorable journey for fulfilling your religious aspiration.